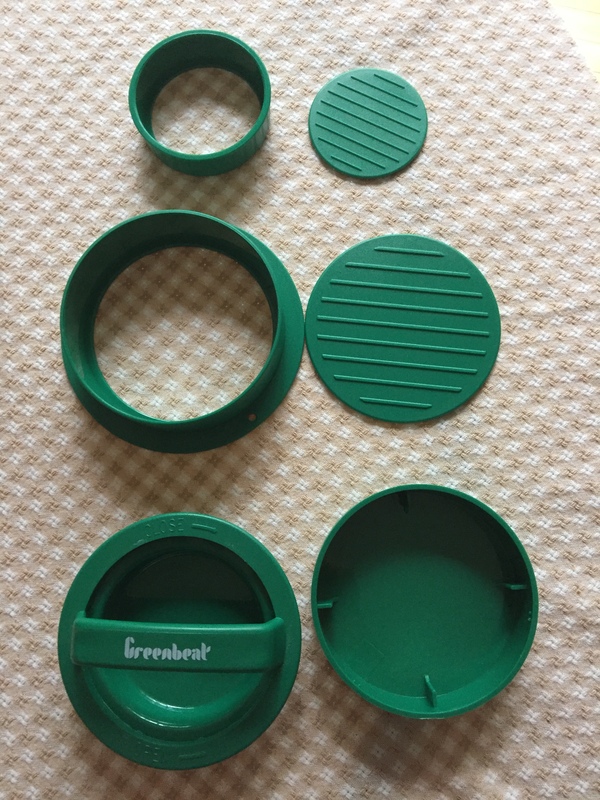 We were recently contacted by Greenbeat and asked to review a three-in-one veggie burger press and the corresponding eBook. * We can only review and endorse the veggie burger press as the recipe eBook is not vegan. ** The product comes with two different size presses, large and small, and wax paper sheets. There is also an attachment that pops off to for an option to make a large stuffed veggie burger. The veggie burger press arrived quickly and I decided a plan of attack by finding, and changing, a veggie burger recipe that I wanted to make. I also bought Beyond Meat’s Beyond Burger because I was excited to have stuffed veggie burgers with vegan cheese. 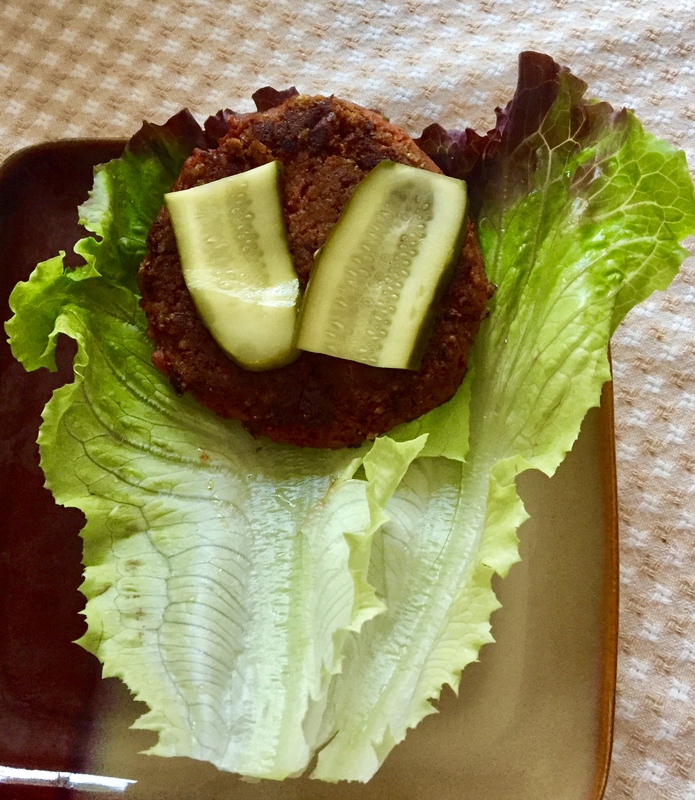 The Beyond Meat burgers are too greasy to use in the press for small or stuffed burgers. Even with the wax paper, they did not work very well and ended up falling apart. 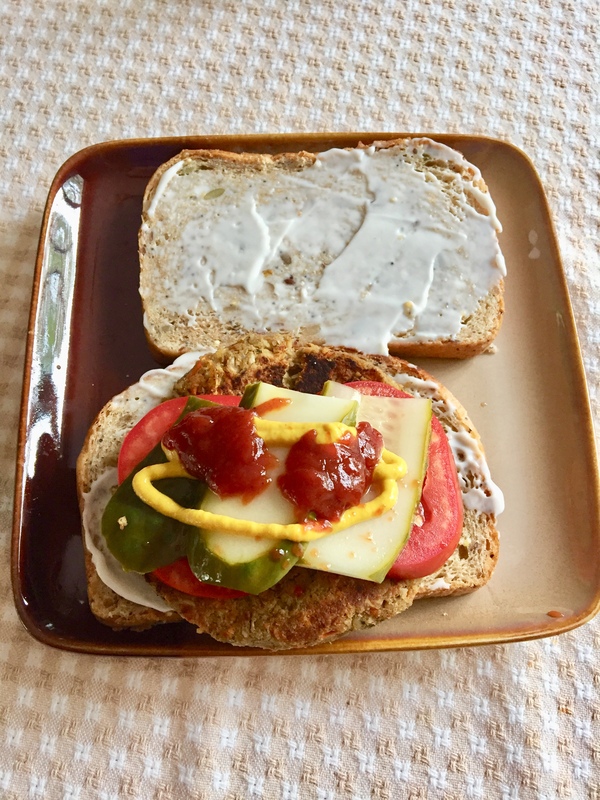 The homemade veggie burger worked well with or without the wax paper. I tried the homemade burger as a large and small patty. This system allows for easy veggie burger forming, while keeping your hands mostly clean. The system is compact. The pieces all fit inside each other, allowing for the system to take up only a small space in a drawer or cabinet. Using the press allows for uniform sized, professional looking veggie burgers. The product is easy to purchase through Amazon. The cost is a little under $16 and should make homemade veggie burgers cheaper than buying packaged ones in the store on a regular basis. Helps reduce the consumption of processed veggie burgers. Especially if you use fresh and non-processed ingredients. It is a great way to be accountable to yourself by knowing what is in the food you consume. Even though we are not reviewing the eBook, we found it to be a con since most of the recipes contain dairy and egg. They can be substituted with vegan items, but the dairy and egg industries are full of torture, pain, and death and we cannot promote that. We hope that the company will consider making more, if not all of its eBook cruelty-free. The attachment to make the stuffed veggie burger was very difficult to remove. I had to wash and dry off the press, and make sure my hands were dry, and I still struggled to open it. I only made two stuffed burgers, but making large amounts would have been frustrating. * We will gladly accept vegan products for an honest review. ** If you purchase the veggie burger press, please note that the recipe eBook that you will get a link for is not vegan. Many of the recipes include dairy and egg and therefore, we do not endorse the eBook. We recommend using your own recipes.